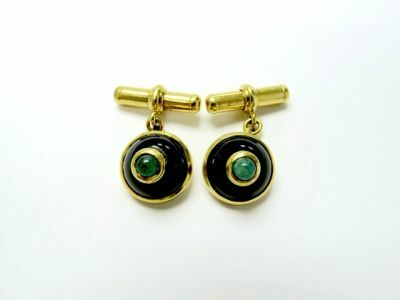 A pair of 1930's vintage 18kt yellow gold cufflinks, featuring 2 bezel set round cabochon medium green emeralds, est. 0.63ct. 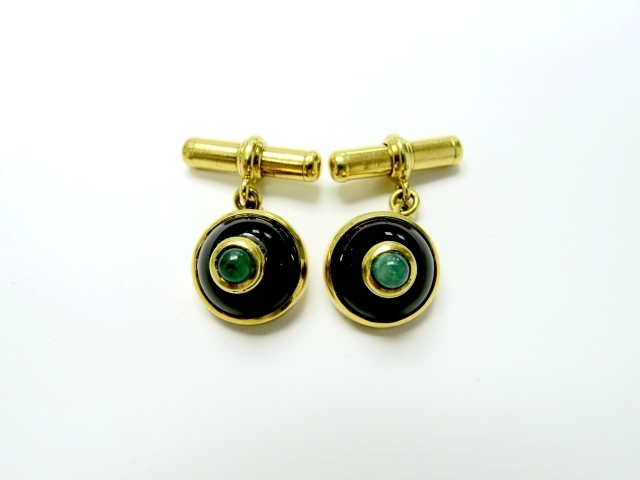 and 2 bezel-set modified round cabochon black onyx, est. 8.35ct. They were made in Italy.